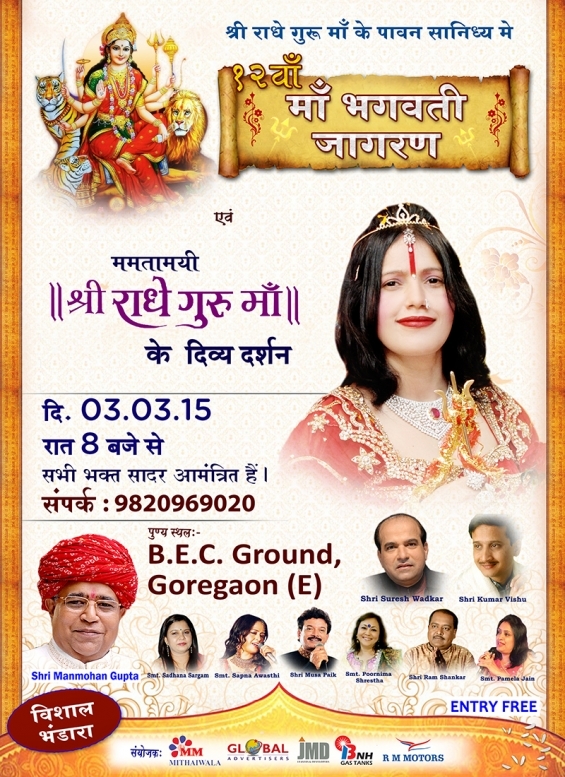 The 12th grand jagran of Maa Jagdamba and divya darshan of Mamtamai Shri Radhe Maa being held on March 3rd, 2015. 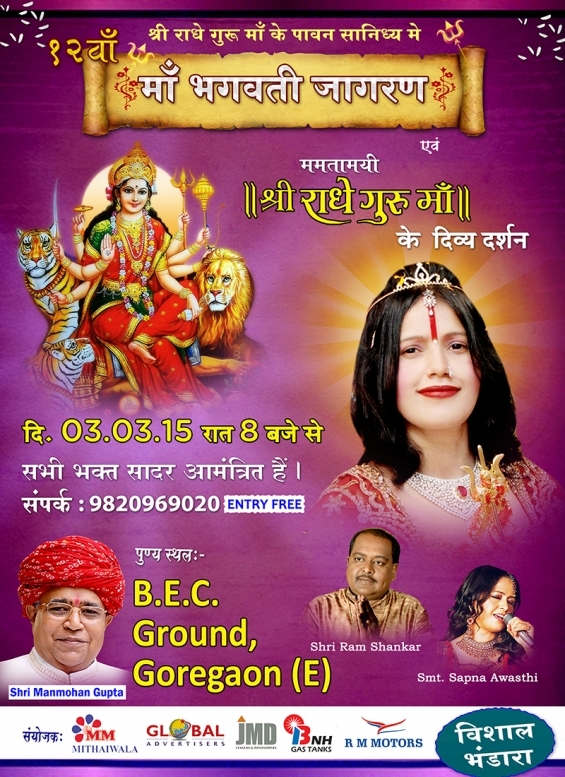 Leading singers, including Anup Jalota, Vinod Agarwal, Arvinder Singh, Sardool Sikander, Master Salim, Panna Gill, Lakhbir Singh Lakha, Anuradha Paudwal, Roopkumar Rathod, Narendra Chanchal Bhojpuri superstar Manoj Tiwari have sung bhajans or bhets for Shri Radhe Maa over the last one decade and half. Bhajans or bhets are musical offerings made to a deity or guru. The songs are mainly in Punjabi and Hindi. A galaxy of stars like - Shri Suresh Wadkar, Shri Ram Shankar, Shri Kumar Vishu, Shri Musa Paik, Smt. Sadhana Sargam, Smt. 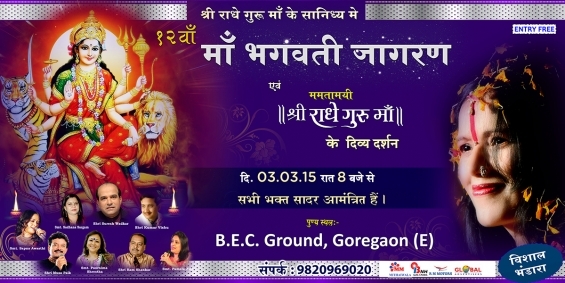 Sapna Awasthi and many more are performing on March 3 this year at the B.E.C. Grounds at Goregaon (East).